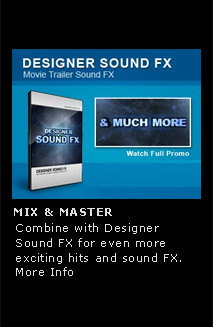 Ready-Layered Music: In addition to fully mixed and mastered Epic Music, Pro Scores also includes layered versions of the Massive & Action tracks so you have total control over what layers come in and when. We split the tracks in to functional mixes such as Percussions, Orchestra and Choirs so you get great results fast without having to sacrifice quality. 5 Music Styles: Choose from 5 versatile categories of Music such as Inspirational, Massive, Percussion, Suspense and Action. Having access to so many styles will allow you to create contrast between scenes and build spectacular Trailers and Promos. 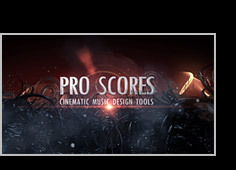 Advanced Training & Tutorials: Pro Scores offers 85 minutes of powerful learning tips and tricks for mixing as well as a in-depth lesson in After Effects and expressions. Check out the complete list here. Template Scores: Get started right away with our fully orchestrated music and sound design elements or tryout one of 5 great pre-build scores. These scores demonstrate the possibilities of using different tracks in combination with the sound design elements to create cutting edge soundtracks. 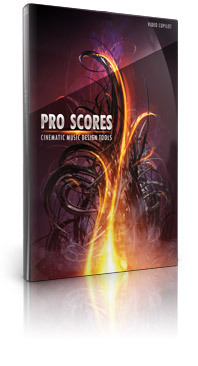 Pro Scores comes with several in-depth mixing tutorials for working with music and sound. 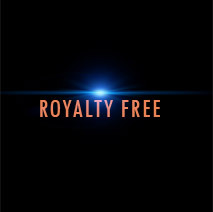 In fact making sound tracks is fast and easy and can be done with virtually any audio/video application such as After Effects, Premiere, Vegas, Final Cut Pro and other audio software. Mixing is as easy as layering tracks and getting the sound you want! 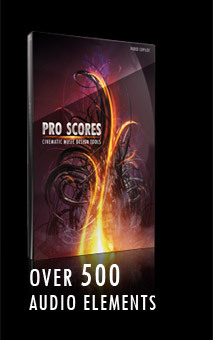 Be confident in knowing Pro Scores works with Mac or PC and can be used with virtually any audio/video application. One of the major benefits of Layered Music Tracks is the ability to control what sounds are heard. For instance, if you are cutting a trailer and need to have an actor’s vocal be heard you can easily drop down the drums during that portion and then bring them back up. They also come in handy to build excitement by starting with just orchestra and building up to the full mix.